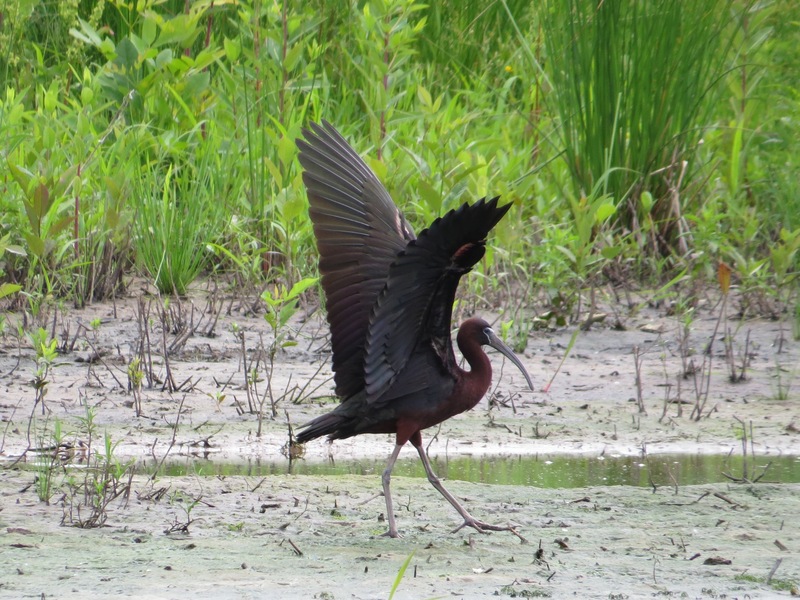 The first time I saw a Glossy Ibis was in Jamaica Bay. 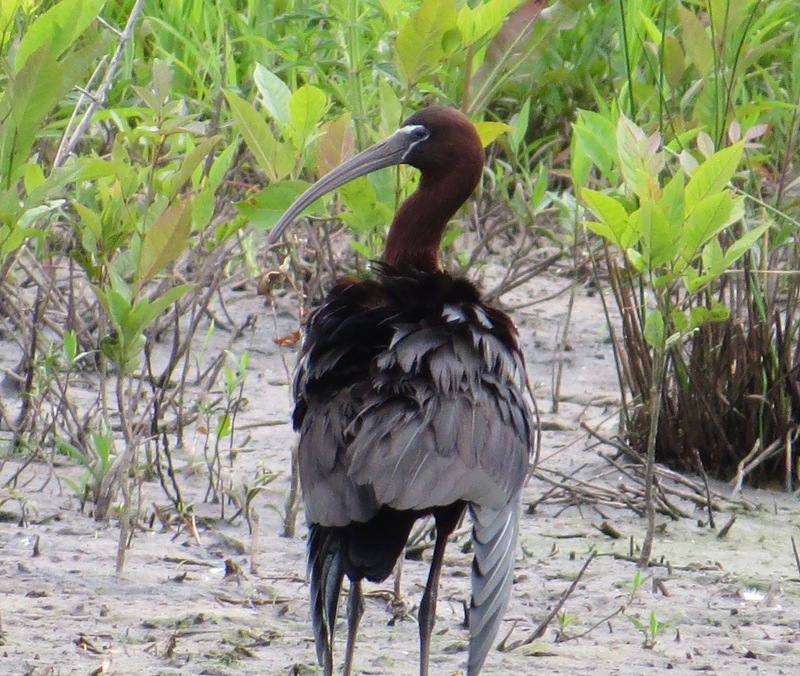 I didn’t even know we even had ibis in the Americas. There are actually three species found in the U.S. 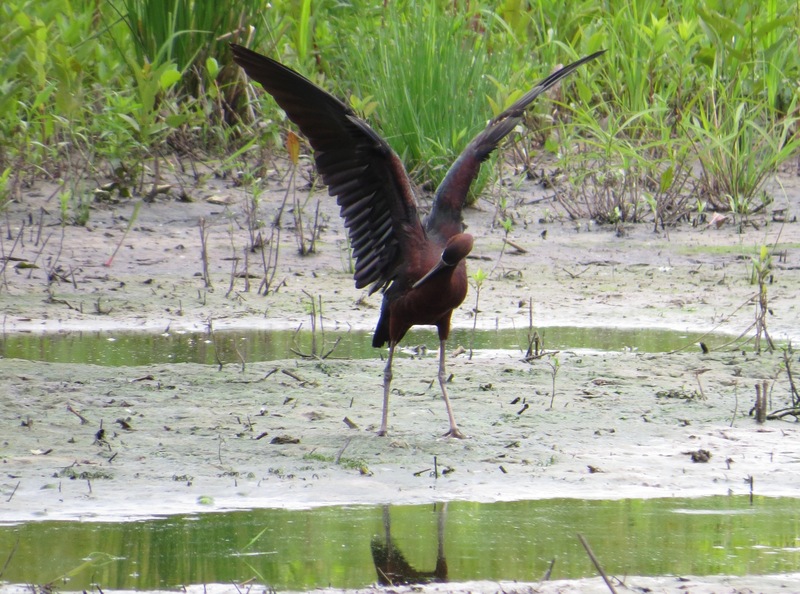 The Glossy, Plegadis falcinellus, gets up as far as southern coastal Maine during the breeding season. The White-faced is a prairie states breeder and the White is a Florida native. An occasional White-faced or White will show up in these parts. This Glossy was on Staten Island recently. 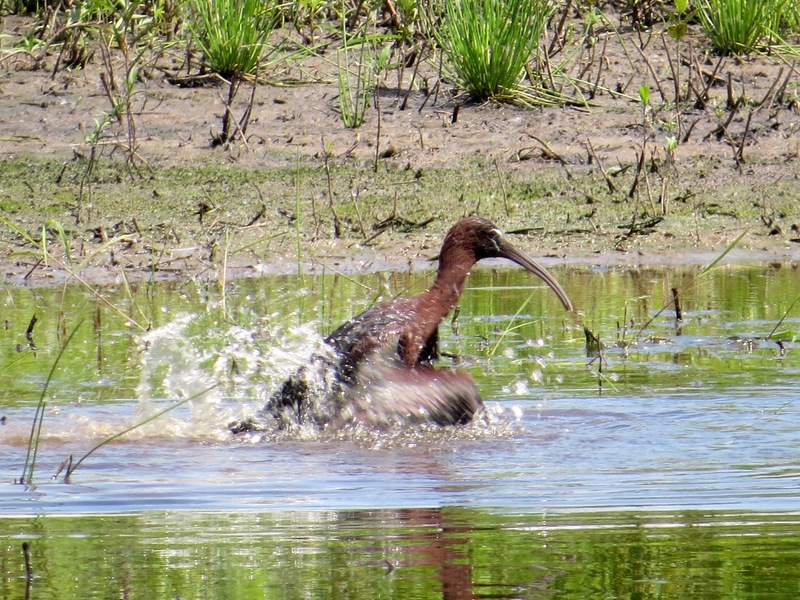 Doing a little bathing, a little foraging, in a small pond that looked like it would dry up by the deeps of summer. Wow Matt! The color is beautiful. Chestnut? Can’t resist sneaking in another of the species, the African sacred ibis, (Threskiornis aethiopicus) native to Africa and the Middle East. In ancient Egypt, it was linked to the god Thoth. It was frequently depicted in art and sometimes included in mummified form to accompany the dead. I thought this was the only ibis until I ran into the local ones.